The perfect “Kleftiko” ! Slow cooked lamb Greek Style! 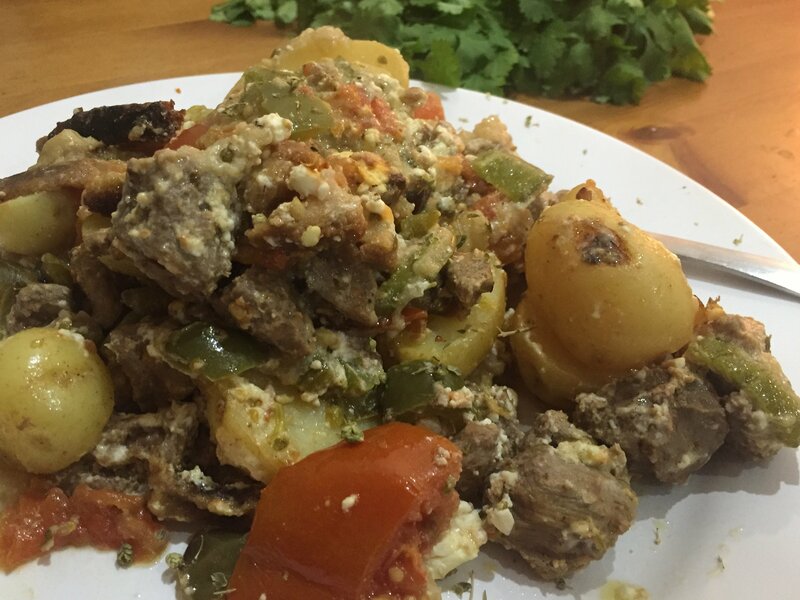 The Greek Food » Lamb » The perfect “Kleftiko” ! Slow cooked lamb Greek Style! Last summer my manager decided to go for holidays in Greece. He did travel to some places but stayed longer at Paros where he surfed and did try a lot of the local dishes but also some more traditional ones. The funny thing was that when he came back he didn’t talked about the sun of Greece neither the sea, or culture etc etc. 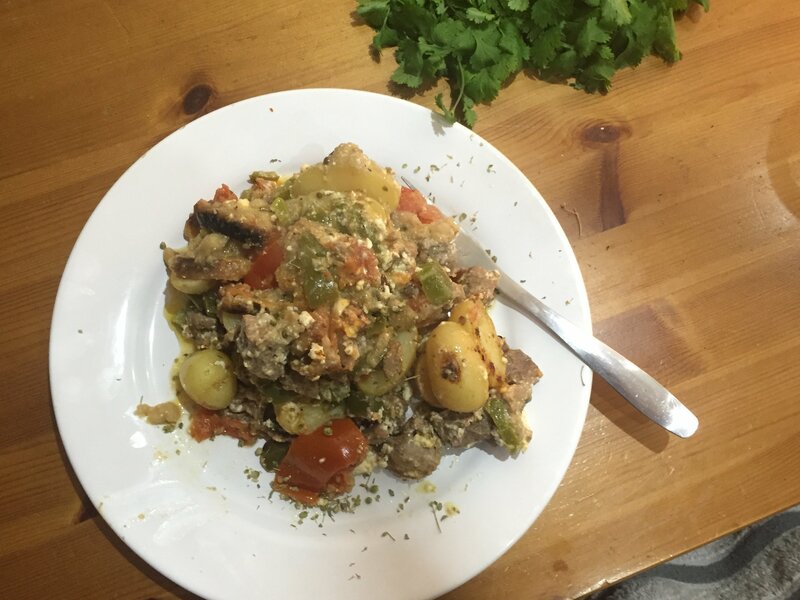 He talked about the moment he tried first one of the most traditional Greek dishes, the “Kleftiko”. 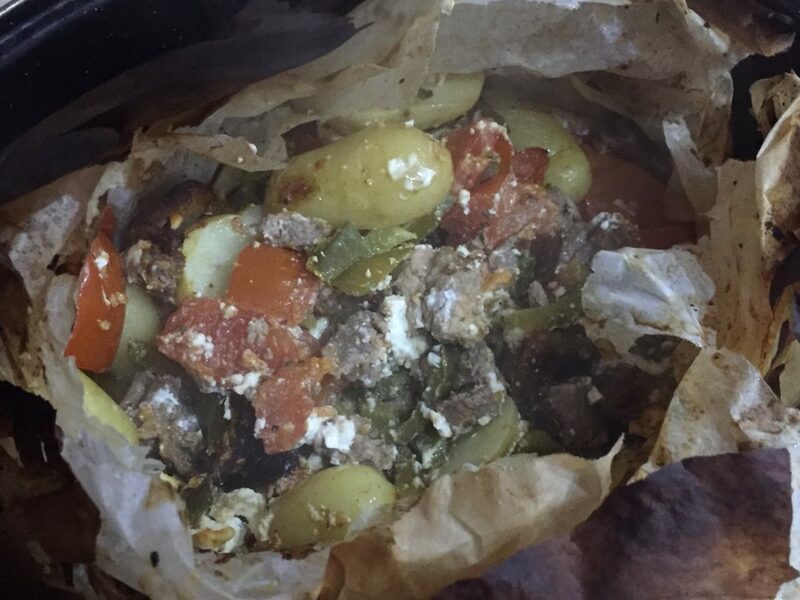 Kleftiko is a traditional Lamb oven baked recipe cooked in parchment paper together with vegetables. 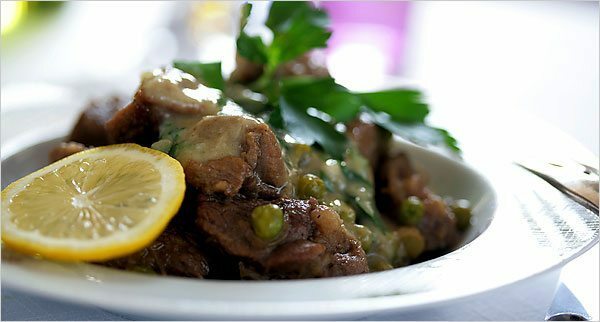 Its really tasty as it is infused with the aromas and juices of the vegetables you choose making the lamb simply irresistible. After talking with my manager at work regarding his food experiences in Greece, I realized that I haven’t blogged about it at all!. So here we go.. So why it is called “Kleftiko”? Well, it comes from the Greek word “κλέφτης” which essentially means thief. In the old times when thief’s were stealing things from cities or farmers, they were running away on the mountains waiting for the “storm” to pass by. There they were cooking there food under the ground in a simple pit used to trap heat and smoke. In that way they wouldn’t reveal there position from far away to police. The times have changed though, and if you are not leaving in the mountains most probably you will be cooking in a nice modern oven! So cooking in a baked seal paper helps preserving all the flavors in the same way. Even if you can use many parts of the lamb for this recipe I prefer to use a leg of lamb or a diced leg of lamb which would make it even easier when served but that’s my personal taste. If you have parts of lamb that have more fat then it should be ideal for this dish. Always add all the ingredients on the same pouch and try to marinate the meat from the previous day as this would give more time for the meat to absorb all the flavors. Something that I like to do is to try and open up the pouch a little bit before the end in order to manage and get the meat a bit more colored on the outside and crispy. Cut the lamb, if it is not already, into portion, wash it and place it in a bowl. Then prepare the vegatables. Cut the onions in half and then in four wedges. Cut the peppers in 2-3 cm chunks and slice 2 cloves of garlic. Add them all to the bowl with the lamb. After wards, add the olive oil, garlic, and mustard to the bowl and use your hands to blend the ingredients. Time to get your hands dirty! Ideally you should leave them marinate over night…but in general as much as possible. When the meat is marinated, then its time to start cooking it. Heat the oven to 170c . Place 2 long pieces of parchment paper in the kitchen desk and add the potatoes on top. Throw in some salt and pepper as well as some oregano. Then on top of them throw in the marinated lamb as well as the tomatoes. Enclose the Kleftiko into a pouch using a kitchen string to tie tightly the whole thing together. Ideally you should roast it for around 2 hours (for that amount of lamb) depending on the type of oven you use. Place it in a roasting dish it and leave it there to slowly cook. Just before you remove it, open it up and increase the heat to 220c for 15-20 minutes until all the ingredients get a bit of brownish look. You could adjust it to your taste.